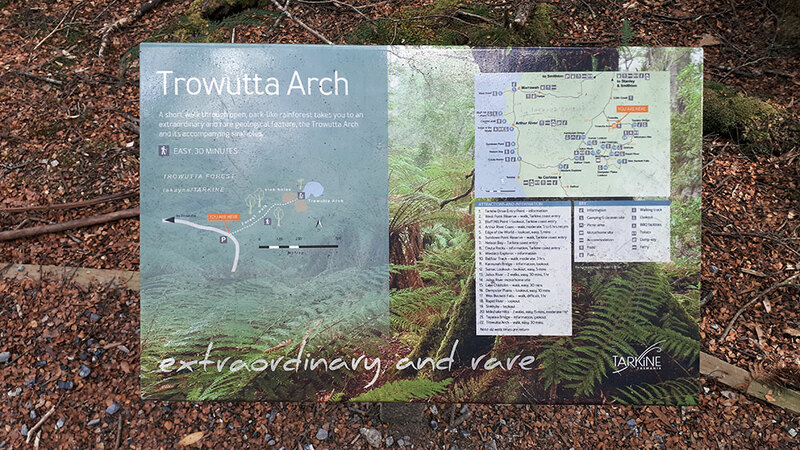 The Trowutta Arch is a fascinating bit of geology found along the Tarkine drive in Tasmania’s north west. 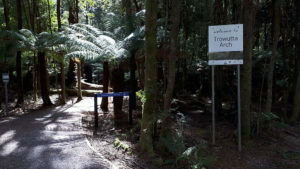 The drive is well signposted and the walk is very easy, only around 10-15 minutes each way. 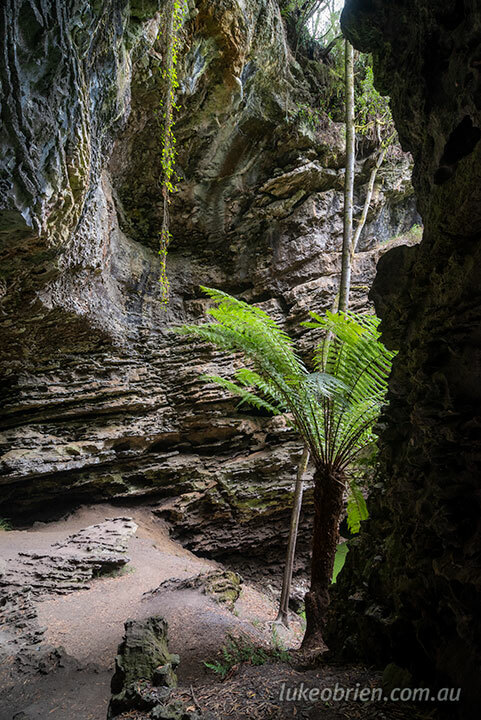 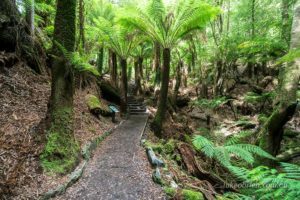 The walk passes through some beautiful open rainforest, myrtles and tree ferns are the order of the day. 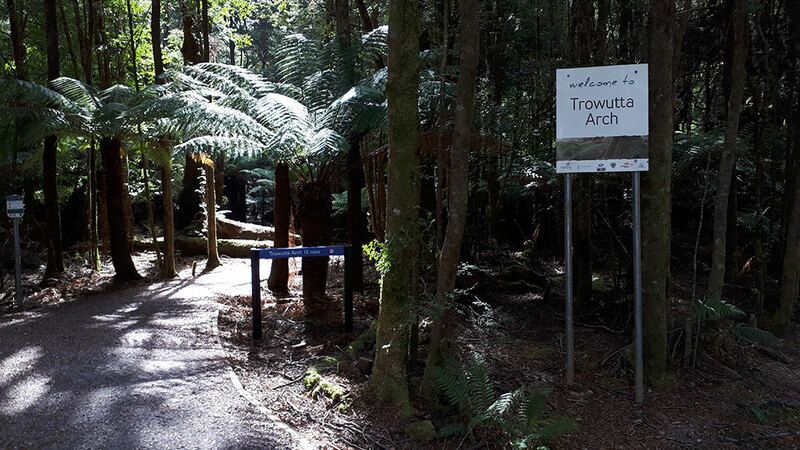 I visited on quite a warm day towards the end of a very warm and dry summer but I could see this being a great place to visit during the autumn fungi season. Ferns line the path on the easy walk in. Inside the arch is a small pond which is a bright green colour, perhaps due to some kind of algae. 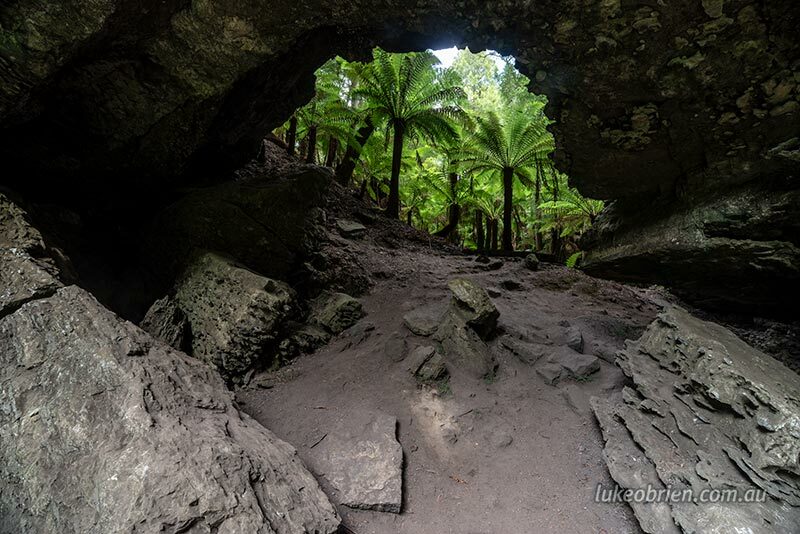 The arch is a stunning natural formation, created by the collapse of a cave. On a personal note I was quite chuffed to see one of my Tarkine rainforest images being used on the signage here. It was quite a (happy) surprise to see this on arrival! 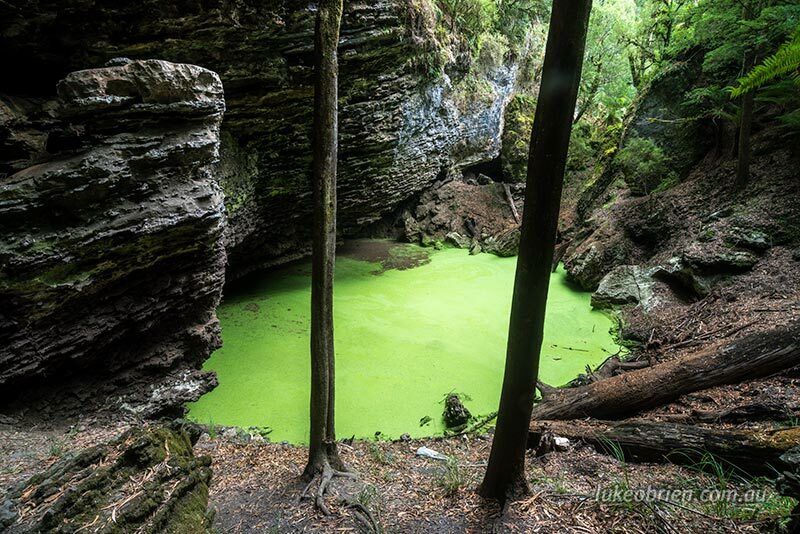 Well worth a visit, especially in the next couple of months as the fungi comes up and the green moss and ferns start to glisten in the wet again.